Challenge #4- Just working on. 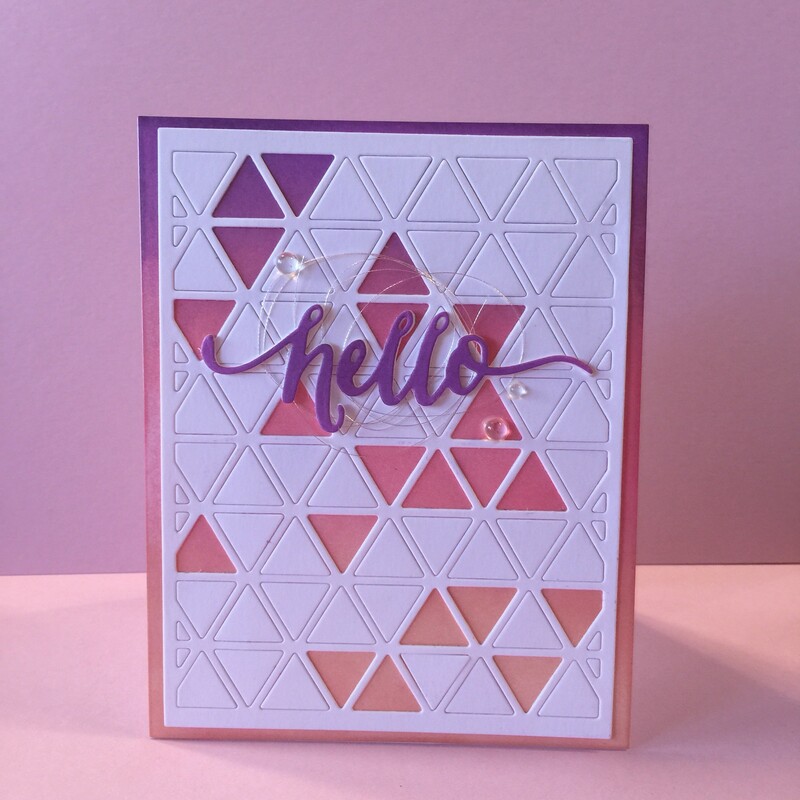 This Challenge is to add the accent of accent of thread to add bling to your card. Fantastic job! 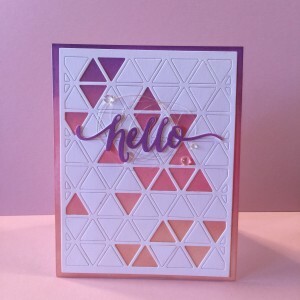 I love the color peeking out from the selectively missing triangle spaces! !